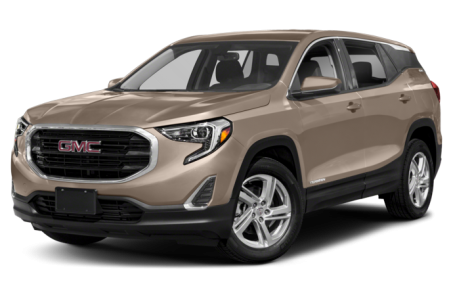 The 2018 GMC Terrain is a compact SUV that seats up to five passengers. It competes with the Ford Escape, Honda CR-V, and Toyota RAV4. This year, it has been redesigned. Four trims are available: the SL, SLE, SLT, and Denali. The Terrain has three turbocharged engine options including a 2.0-liter turbo-diesel. Front wheel drive is standard, while all-wheel drive is optional.